The aim of this study was to assess the risk of psychiatric readmission in patients with schizophrenia, compare it between patients prescribed compulsory admission and those consenting to voluntary admission, and determine risk factors for psychiatric readmission. 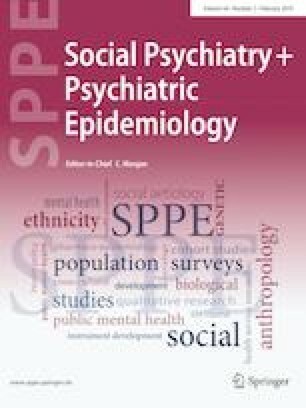 This 7-year (2007–2013), population-based, cohort study retrospectively compared data of 2038 schizophrenic inpatients who initially underwent compulsory admission (the CA group) and of 8152 matched controls with schizophrenia who initially underwent voluntary admission (the VA group). During the study period, there were 1204 and 3806 readmissions in the CA and VA groups, respectively. Compared with the VA group, the CA group was associated with a greater risk of psychiatric readmission [adjusted hazard ratio (AHR) = 1.765; 95% confidence interval (CI) 1.389–2.243; P < 0.001]. Stratified analyses showed that the CA group was associated with a higher risk of subsequent compulsory (AHR = 1.307; 95% CI 1.029–1.661; P < 0.001) and voluntary (AHR = 1.801; 95% CI 1.417–2.289; P < 0.001) readmissions compared to the VA group. Sensitivity analyses, after excluding data from the first year of observation, also provided significant findings with respect to compulsory and voluntary readmissions. Kaplan–Meier curves revealed that cumulative survival rates of psychiatric readmissions, compulsory and voluntary readmissions were significantly lower in the CA group than in the VA group among patients with schizophrenia (log-rank test, P < 0.001). CA was associated with higher subsequent psychiatric readmissions, compulsory, and voluntary readmissions. Clinicians would need to focus on patients undergoing CAs to reduce readmissions. The online version of this article ( https://doi.org/10.1007/s00127-018-1606-y) contains supplementary material, which is available to authorized users. This study was funded by Taipei Tzu Chi Hospital, Buddhist Tzu Chi Medical Foundation, Taiwan (R.O.C.) (TCRD-TPE-107-03) and Tri-Service General Hospital (TSGH-C107-004). CEL drafted the manuscript, developed the concept, designed the experiments, and supervised the manuscript preparation. CHC and LFC analyzed and interpreted the data. All authors have read and approved the final manuscript. This research was supported by Grants from Taipei Tzu Chi Hospital, Buddhist Tzu Chi Medical Foundation (TCRD-TPE-107-03) and Tri-Service General Hospital (TSGH-C107-004).